Schooling these days goes much beyond academics as sports, music, dance, theatre and other such activities liberates the spirit and hones character and leadership. 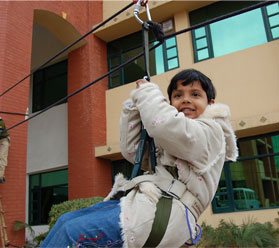 At Mindtree, we believe in encouraging our students to grow into fully rounded personalities. 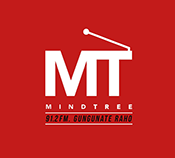 Mind Tree has one of the best Co-curricular programme to ensure the overall development of students. Health and Physical Education forms an integral part of the syllabi along with Visual and Performing arts. Environmental consciousness is also catered to. As such, the bulk of the co-curricular programme is implemented through various activities and Fun day sessions. Each day is packed and exhilarating at Mindtree! Each day is packed and exhilarating at Mindtree! The morning assembly equips the students with an array of prayers and regional and cultural songs, latest information, announcements and a 'student's talk'. Each House presents the assembly on rotational basis giving all students a chance to showcase their talents. Assembly is followed by classes and a lunch break in between. During the course of the day, quite often something new and stimulating is planned, be it a talk by guest speakers, a competition or even a short excursion. A complete gamut of co-curricular and personality development activities at Mindtree provide every child with a phase where they can gain the poise to outperform. Our endeavor is to provide a proper atmosphere for the all round growth of the child. There are an attention-grabbing range of activities external to learning lessons which help to widen the overall persona of the children. All children are actively encouraged to contribute in these extracurricular activities planned for them and as a result have outshine in countless others, in peripheral competitions. We at Mind Tree aim at overall development of the child. It is not just academics that we emphasize on. Co-curricular and extra-curricular activities form an integral part of the curriculum. 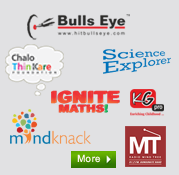 These activities help develop and bring forth the talent and creativity of our Students. Performance in activities is given equal importance as in academics and sports. Such activities improve creativity, enhance confidence levels, inculcate discipline, enhance leadership qualities and abilities and stimulate the student to become a team player. The activities are organized and facilitated by our teaching staff in accordance with their personal strength and experience. These co-curricular activities provide both staff and students with the opportunity to mix with people from other parts of the school in an informal and creative environment. Students have the option to choose any one activity. The students engage themselves in the chosen activity throughout one term. Each activity club is run as per a yearly plan and fixed objective. Along with the above, we are Mindtree make sure that emphasis is given to special days in a month and we mark each of these occasions with specialized celebrations. Each day in itself is symbolic of certain values and we make sure these are imbibed in students with the help of activities conducted on these days.